The present page presents essential information regarding payment options and delivery options for FF. Mid-Century Design pieces. More accurately: what you need to know, in summary. For a more complex understanding, please check our Terms and Conditions page. There is no minimum order on our website. Wire transfer payment: these are payments made in our bank account before we send out the order. Credit or debit card payments, directly on our website. For payments by credit card, the transaction appears on your statement paying customer (you) highlighted as “FF. Mid-Century Design”. The payments online by credit card are processed via Plăționline. We accept the following cards: Visa / Visa Electron Mastercard / Maestro. Paypal: in our account, [email protected] Please note that the Paypal payments will be charged 5.5% extra (this represents the PayPal trading fee and the cross border fee). Presently, FF. 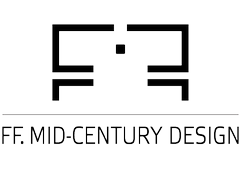 Mid-Century Design delivers products in Romania, in the other countries members of the European Union, as well as in Iceland, Liechtenstein, Norway, Switzerland, and also outside Europe in Canada, Israel, Japan, Qatar, the United States and the United Arab Emirates. We ship out the orders within a maximum of 24 business hours from when the order is confirmed (the order is deemed confirmed when the receipt of the money in our account has been confirmed). However, in most cases the orders are shipped out within the same day, if the order was confirmed before 1:00 PM on that business day or during the first part of the following business day. For details regarding our work schedule, please visit the Contact section of our website. Delivery by Express Mail Service (via Romanian Post): we use this method for deliveries outside of Romania; it takes between 5 and 14 business days from the moment the order is shipped (the moment the order leaves our store); please note that EMS is a door-to-door uninsured service. Courier delivery: Fast door-to-door insured delivery; for destinations in Romania, it takes between 1 and 2 business days from the moment the order is shipped (via Urgent Cargus, Fan Courier, etc. ); for destinations outside of Romania it takes between 3 and 7 business days from the moment the order is shipped (via TNT, FedEx, DHL or other authorized carrier or courier of your choice); please note that for destinations that requires customs formalities, it could take longer. Personal pickup: if you opted for this delivery method, after placing your order a FF. Mid-Century Design representative will contact you to discuss all the details; we will keep your package for free for 14 days and you can pick it up during our business hours; after 14 days, we will charge you a storage fee of 1% of the package value per day. FREE OF CHARGE: when you opt for „Personal pickup”. 4,5 € + 1% of the invoice value: by courier, anywhere in Romania within the range of the chosen courier, for packages that weigh up to 1 Kg; for destinations outside the courier range there is an additional fee of 0.25 €/km. PACKAGES OF OVER 1KG: there is an additional fee of 0.5 €/kg. FOR EMS: the delivery rates are automatically calculated by the site, depending on the destination and the weight of the package (physical or volumetric). FOR OTHER COURIERS: the delivery rates are calculated by us, depending on the courier of your choice, the destination and the weight of the package (physical or volumetric). In your Client Account you can follow the stages of your order from the moment you place it until its delivery (order status). Also, you will receive email notifications when your order goes from one stage to another: waiting/ processed/ delivered. The orders are shipped in order of their placement. Immediately after placing an order, you should receive an order confirmation email. If you do not receive this email, please check the correctness of the order details or contact us. For more details regarding the buying process you can check the How do I order online? page. Once you place an order, you should be available to receive it during the period specific to the delivery method you have chosen. In case of a wire transfer payment, the delivery period is of 24 work hours from the date the payment was confirmed in our account (that is the moment when we consider the order as confirmed). 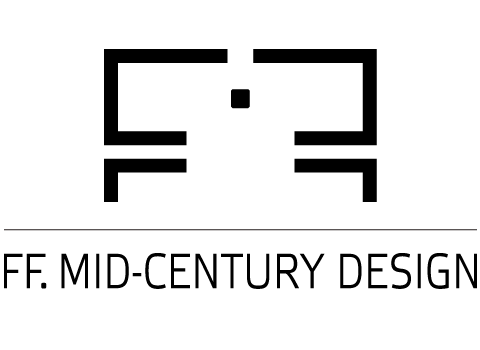 Any client that places an order on www.mid-century.net, has the obligation to pay the cost of the respective order and pick up the package. If the client refuses to receive the package (even though the package is not severely damaged) or does not go to the postal office (or the office of the courier company) to pay for and pick up the package, the client has the obligation to pay the value of the round trip of said package (depending on the cost of the delivery method chosen). These courier fees will be retained by FF. MID-CENTURY DESIGN from the amount paid by the customer for the product. The difference will be then transferred to the client within a maximum of 7 business days. In case the package presents severe damage or is unsealed, you have the right to refuse to receive it without having to pay any fees, on the condition that the reason for your refusal is clearly specified, in writing, on the AWB.